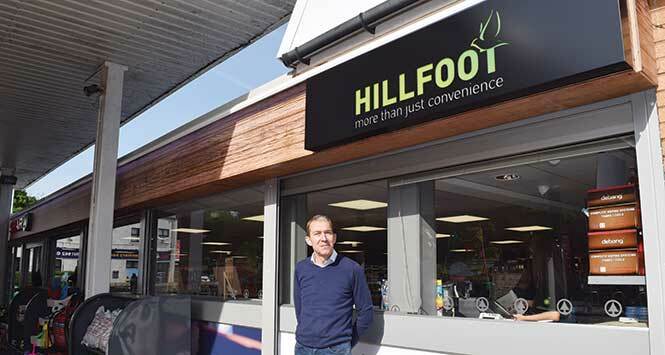 Following a massive refit at the end of last year, Hillfoot Garages in Bearsden went on to win the Refit of the Year category at this year’s SLR Rewards. Here we take a closer look at the evolution of a local institution. Mention the words ‘Hillfoot Garages’ to anybody in Bearsden and they know exactly where you mean. 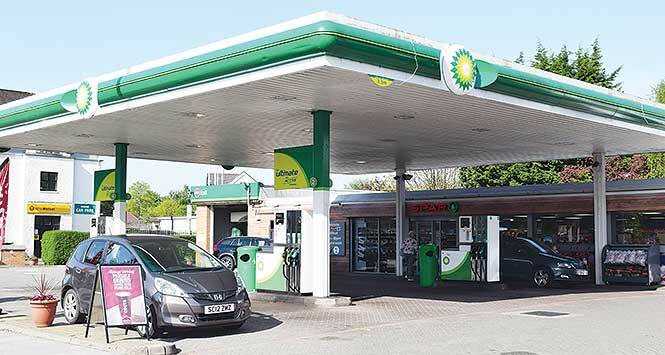 Under the ownership of the entrepreneurial Potter family this petrol station-turned-convenience store became, over the course of several decades, something of an institution in this upmarket suburb to the north of the Glasgow. But after many long and successful years, the onset of increasingly fierce competition nearby persuaded Billy Potter that his time in local retailing was drawing to a close. A casual conversation with his manager Ian Gillespie then triggered a chain of events that quickly led to Ian putting together a funding package to buy the business and inject some fresh energy and creativity into building a sustainable future for the store. Four or five years ago, however, a chance conversation with Billy was to have a profound impact on Ian’s career. Billy had been worrying out loud one day about a new Asda that had opened nearby that was selling petrol, as well as a Tesco and a Waitrose. 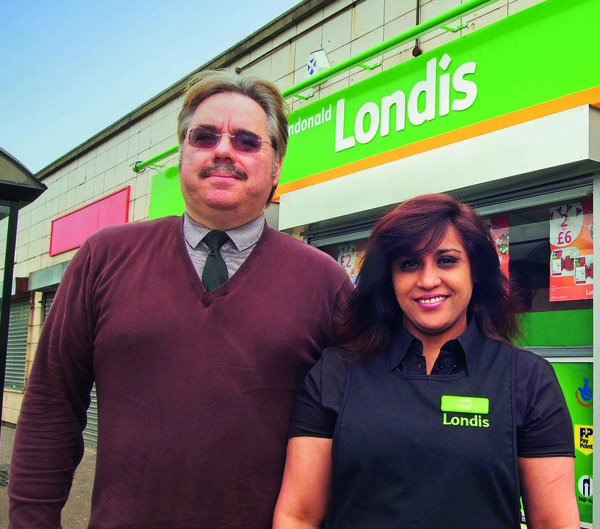 Traditionally an unaffiliated independent store, the business had historically bought from a wide range of suppliers and wholesalers prior to Ian taking over. 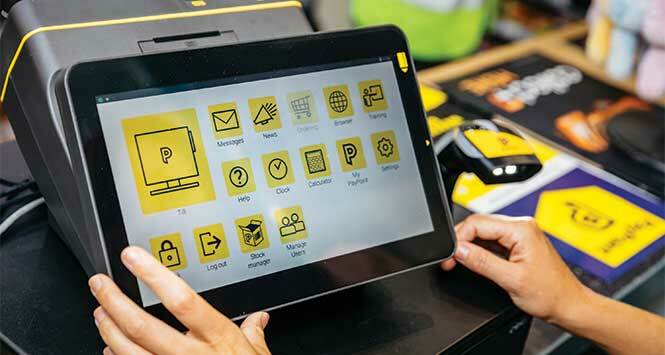 “We were getting deliveries from Booker and P&H, we were buying from various cash and carries and we were just buying whatever we thought we could sell from wherever was selling it cheapest,” says Ian. Despite Billy deciding to sell out, Ian maintains a business relationship with both him and his wife Fiona. They jointly acquired the Luss Village Store on the banks of Loch Lomond around six years ago, to add to the lease he and Billy took out on the Esso forecourt in nearby Hardgate around 10 years ago. 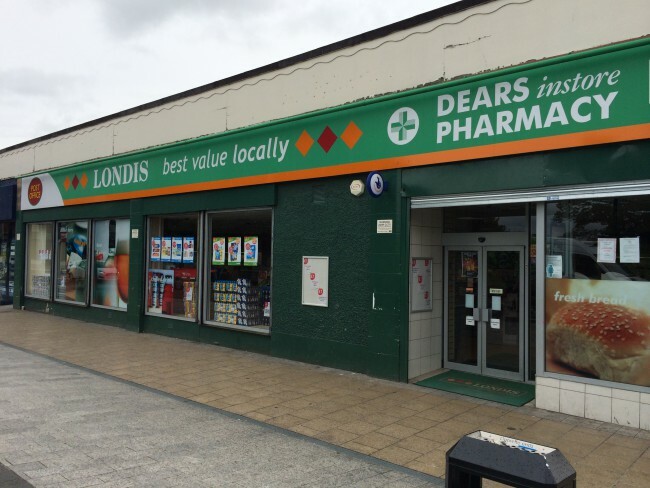 After much debate and research, Ian’s chosen partner was Spar which offered a package that he believed best suited his needs and the needs of his local customer base. The second major decision that Ian took was to commit to a full-scale refit of the store, a costly exercise. The refit was indeed a very major one, but the results were spectacular. 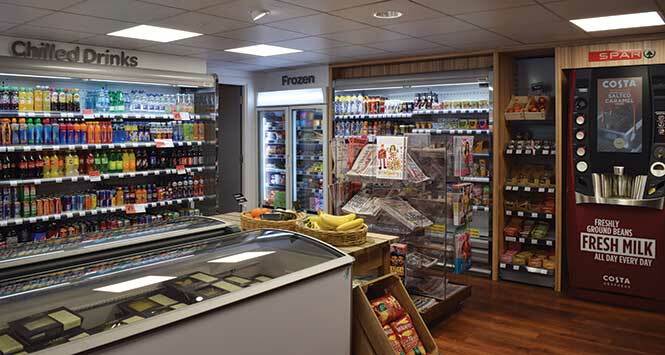 So much so that the 2,100sq ft store won the Refit of the Year category at this year’s SLR Rewards. Ultimately the store was only fully closed for about eight hours, just enough time to refit the counter and put the tills and gantry in. The new store is literally unrecognisable from the one it replaced. 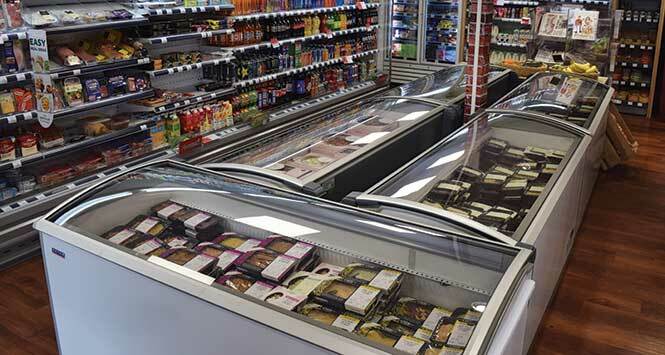 A huge wall of fresh and chilled along with a big fresh flowers display is the first thing that greets customers through the door while, just beyond, an island of four large chest freezers offers a range of top-notch frozen ready meals from the Cook range. 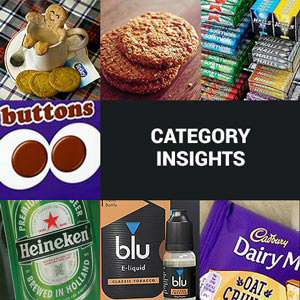 The grocery range was beefed up with largely premium and higher-end lines to appeal to the typically more affluent shopper base; think aged balsamic vinegar and artisan piccalilli rather than Pot Noodles and baked beans. A Costa coffee machine nestles beside a food-to-go hub while an extensive range of craft beers and rare, premium wines graces the back wall. 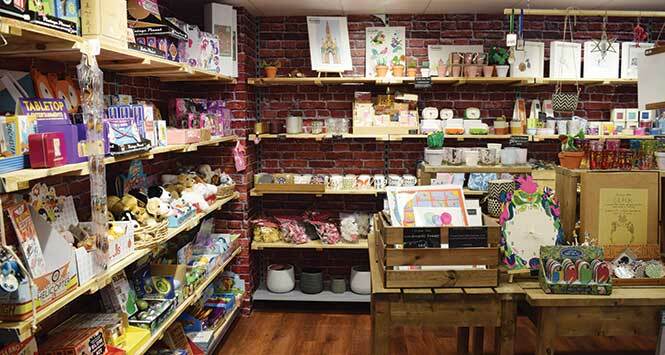 There’s also a free-standing Porelli’s serve-over ice cream unit and, most unusually of all, a very broad selection of gifting items merchandised in a specially designed ‘store within a store’ style in one corner of the shop floor. The Cook range is one of those key USPs, as Ian comments: “There’s one Cook store in the West End in Glasgow and one in Edinburgh, but as far as I’m aware we’re the only c-store in Scotland stocking the range and it has been hugely successful. The quality is outstanding and while they’re not the cheapest products – £7 or £8 for a meal for two – they do appeal to my customers and they’re proving a huge hit. 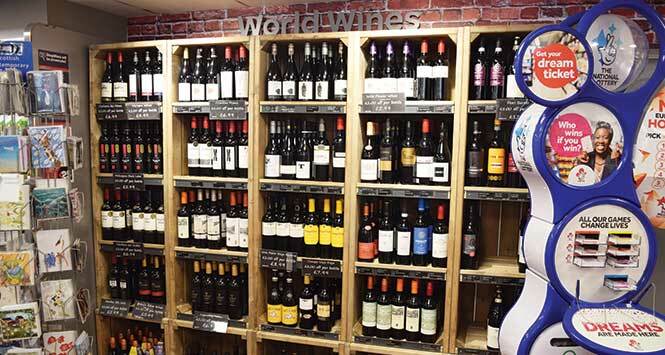 Ian happens to be an amateur wine enthusiast himself and tastes every wine the store stocks, so that he can offer sensible, informed advice when his customers are looking for suggestions. As for the future, Ian is looking to update the carwash and expand the Fresh & Chilled section even further to target the ‘meal for tonight’ shopping mission. He is also investigating the introduction of a home delivery service. 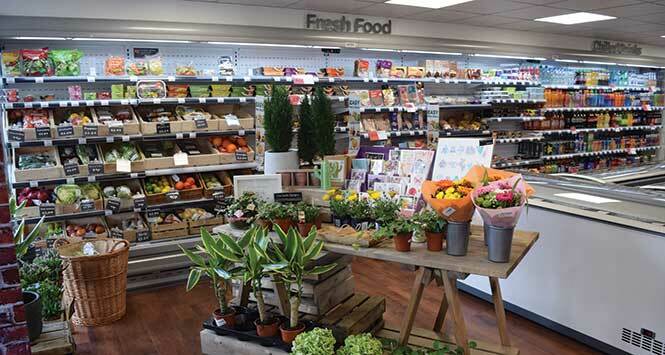 Ian’s achievement of taking a much-loved but tired business and injecting it with new life and passion is hugely admirable and it’s extremely encouraging to see an independent retailer thriving despite the attentions of an array of supermarkets within a few minutes’ drive.